Good Life Dentistry is proud to now offer free dental visits for all children age two and younger. The American Academy of Pediatric Dentistry recommends that children visit the dentist when their first tooth appears or by the age of one. A thorough and quick examination allows for early detection and prevention of dental problems and supports good home care habits. 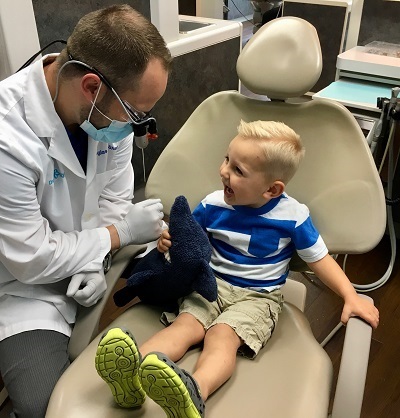 Our complimentary exam, cleaning, and fluoride treatment to all children under the age of three is the perfect opportunity to get your child comfortable with visits to Dr. Shafer. The appointment will be brief and very flexible—your child can even stay on your lap if needed. We are always available to answer your questions or concerns! Call us today to schedule your child's first appointment at 503-579-5060.